So many rumors were swirling around Senator Obama’s birth that his campaign felt obliged to post a copy of his birth certificate at the “Fight the Smears” web site, see “The truth about Barack's birth certificate.” OK, if there’s confusion about someone born in the United States, how much more might there be in other, poorer countries? 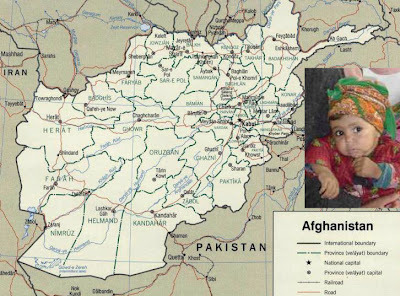 It turns out that the answer is “a lot.’ In Afghanistan fewer than one percent of the population have birth certificates. The government there has now started issuing them for all babies born in Kabul, and plans to extend this to the rest of the nation by the end of 2009. UNICEF, the United Nations Children's Fund, is assisting the Afghan government in this endeavor. UNICEF started a similar program in Madagascar in 2004 (with 30% of children “unrecognized”) and Latin America in 2007 (with 17% of children “invisible”). Something so simple and basic, but necessary to ensure vaccinations, healthcare, education, etc. Not exactly pertinent to what I was posting about i.e. the lack of birth certificates in poorer countries and the associated negatives.